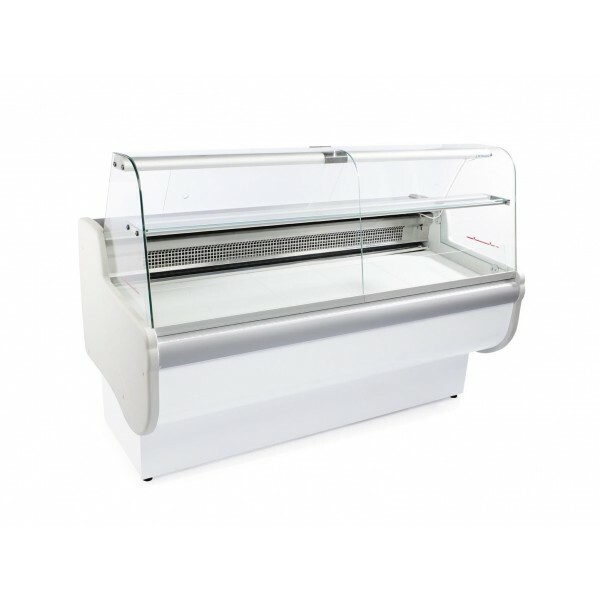 A stylish and robust, yet affordable 1.7m slim line serve over fridge, perfect for the retail of chilled pastries, deli and sandwich products. 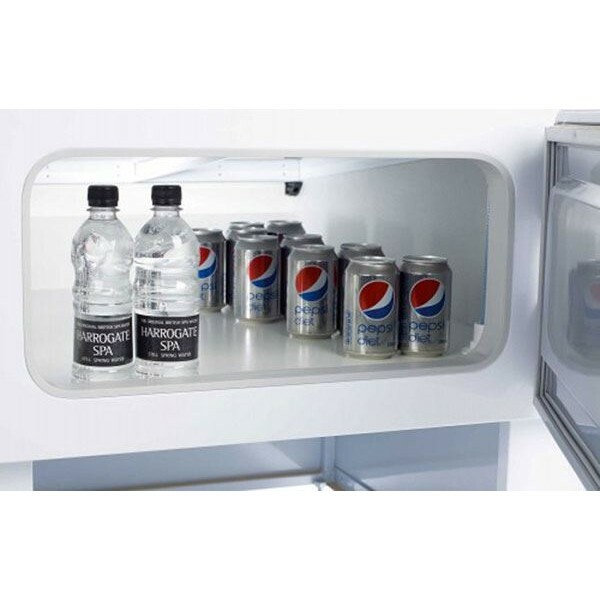 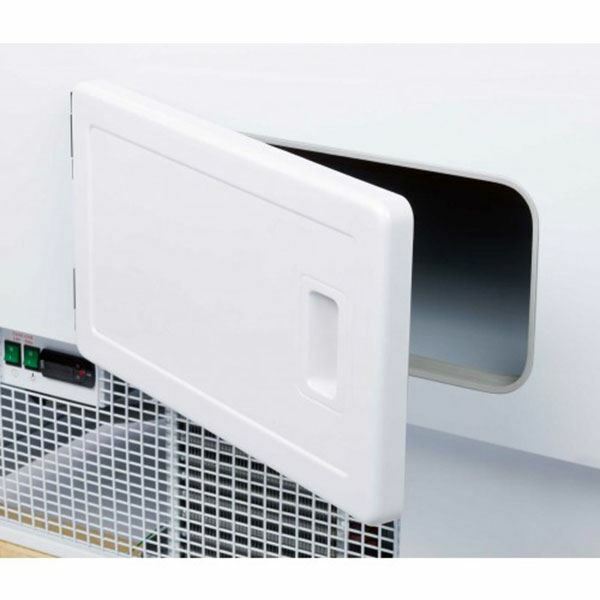 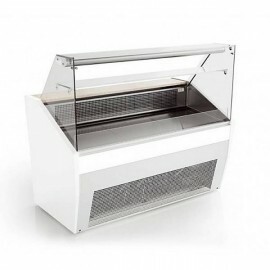 The cabinet comes with refrigerated under storage, stainless steel back service shelf and white powder coated galvanised steel display deck. 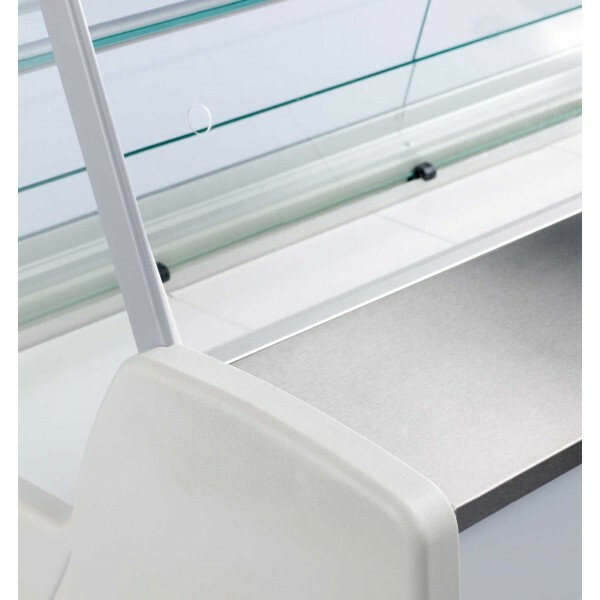 The slim design means the cabinet is just 830mm deep allowing for delivery through most standard sized doorways. 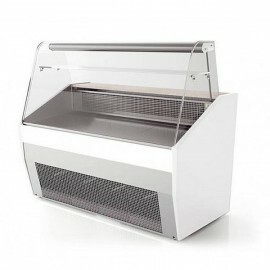 Optional extras include castors, different front colour panel, moveable partition (on low glass stand) stainless steel decking, different base colour panel, electronic temperature recorder, software and wire, stainless steel shelf with price strip, fixed partition (high glass on decking) 20 mmGrey granite worktop, LED light meat colour - please call for details. 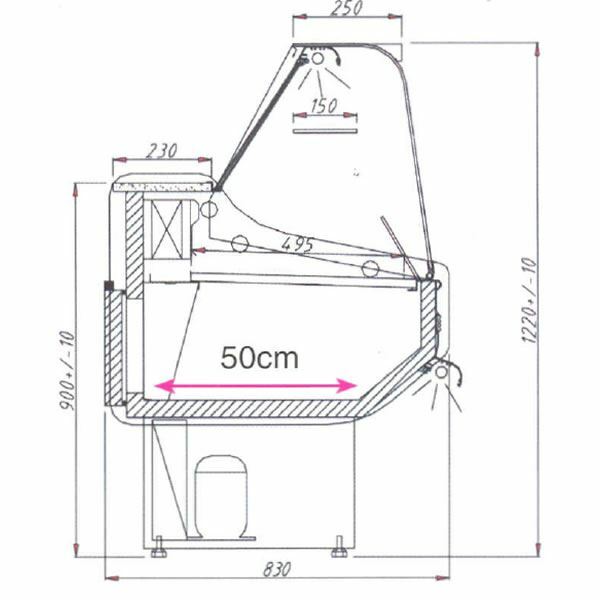 *For the following postcodes KT, FK, PA, PH, DD, AB, IV, KW, KY, ZE, G63, G82 parts of, G83, G84, a delivery charge is applicable. 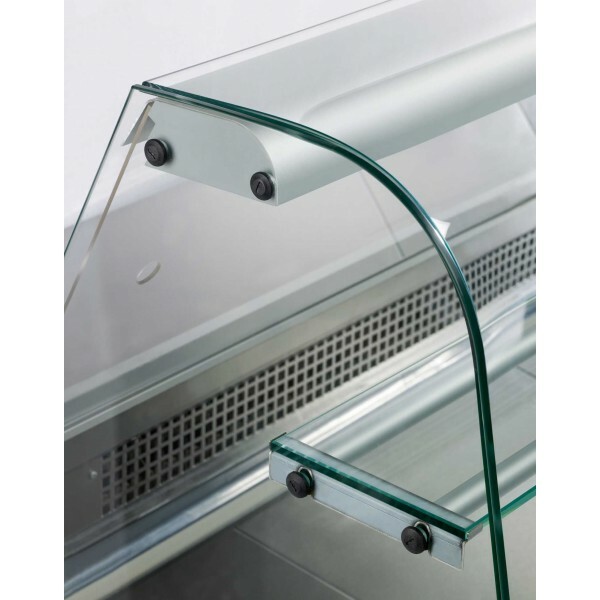 The Valera Pronto Slimline Curved Glass Serve Over Counter is ideal for cafes, delis or sandwich sho..